The One For Sorrow EP is out November 3rd on 12" vinyl, limited CD and digital EP. The beautiful 12" vinyl EP designed by Michael Speed. 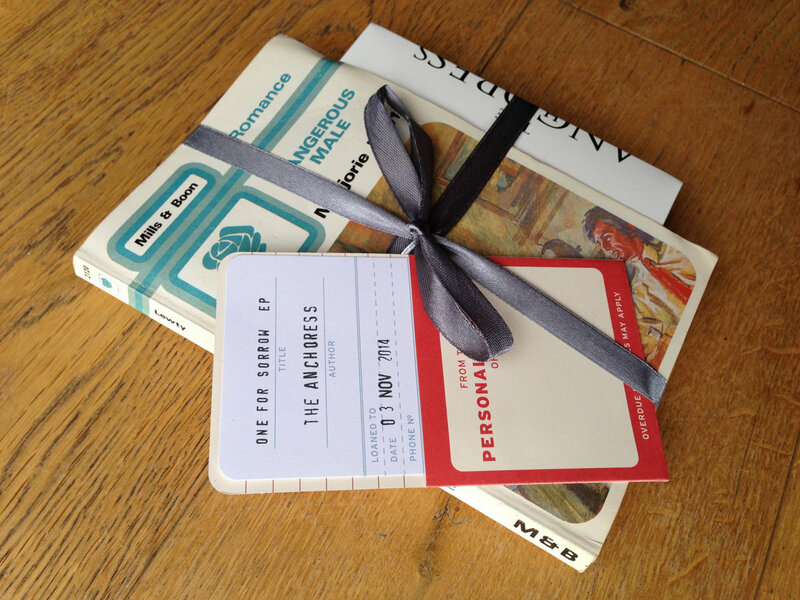 This special collector’s edition ribbon-wrapped bundle includes a limited 4-track CD of the One For Sorrow EP, alongside a personalized hand stamped library card from The Anchoress, and a hand-picked vintage romance novel (as used in the “book-bath” which featured in the EP artwork and promo photo shoot). Buy the ltd edition signed CD here. The EP is also available from iTunes, Amazon, and all other digital stores, including an iTunes bonus track remix by Ghosting Season. Footage from the cutting of the vinyl of the single. *Update* Thanks to everyone who bought the vinyl - we sold out the entire run on preorder in the first 24 hours! You can now preorder the 7inch clear vinyl of the debut single from the following stores. There is only a limited edition of 500, so be quick!